THERE are many misconceptions around trades and the opportunities available to those who train in them. 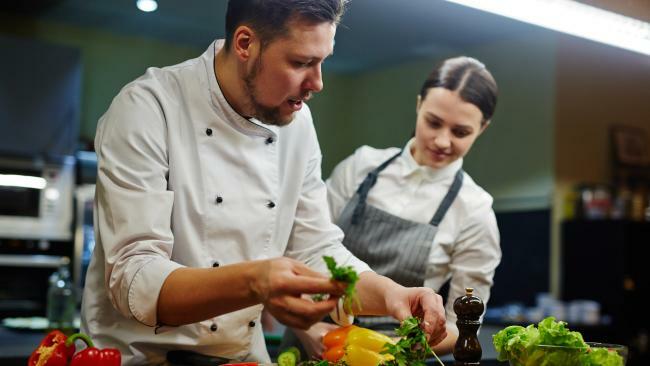 Such myths and misunderstandings can put people off pursuing an apprenticeship, even though it may actually be the best option. While trades are typically dominated by men, the portion of female technicians and trade workers increased from 11.8 per cent to 12.4 per cent in the past three years, Workplace Gender Equality Agency data shows. Electrician Rebecca Muir says the numbers are "slowly increasing", partially aided by the establishment of support networks such as SALT (Supporting And Linking Tradeswomen). "We are able to pass on information about jobs coming up and lean on each other if we have issues," she says. 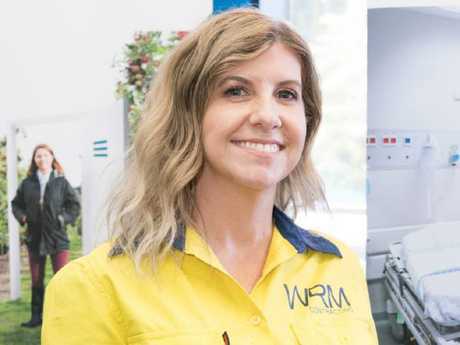 Muir started her working life in female-dominated sectors such as administration and child care but made the switch into an electrical apprenticeship in her late 20s. She worked hard on both her practical and theory components, earning herself the nickname Bookworm. She says although being a woman has brought some challenges, it has also suited the job well. "You can start your own business and work your own hours so if you have kids you can do the nine to three," she says. "Men and women look at things differently and it's good to have a different perspective on a job and have a different approach. "(My advice to women is to) persevere, because someone will give you a go and they won't regret it." This myth is only partly busted because of course plumbers, electricians and carpenters are all tradespeople - but they are not the only ones. There are plenty of other options outside of the popular, well-known skills. 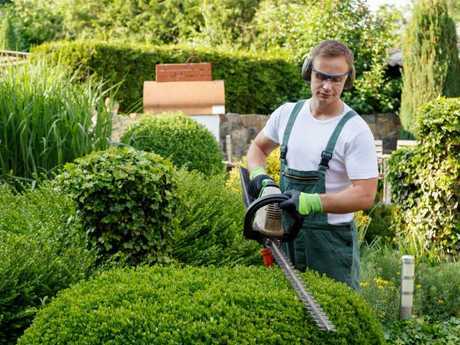 Tradespeople can be as broad or as niche as they wish, with skills ranging from aircraft engineering to telecommunications to horticulture to panel beating. 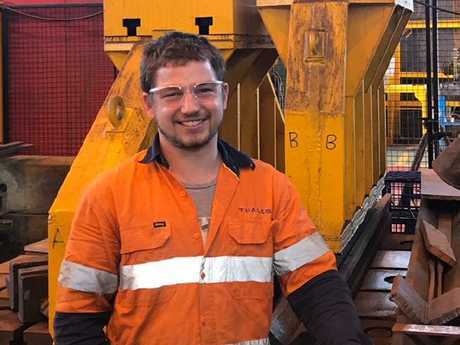 Mitchell Jackson, 20, completed his studies in heavy steel fabrication at TAFE NSW last year, and is employed by Thales Australia as a boilermaker ship repairer. He credits his father for introducing him to the trade. "I fell in love with being able to turn something from a flat sheet of steel to a wonderful thing that shows how much work I have put into it," he says. "I want to put all my efforts into work so I can move up the ladder to bigger roles and be able to teach young apprentices all I know about my trade." Jackson is set to compete in the Construction Steel Work category of the WorldSkills Australia national competition as part of vocational careers expo Skills Show Australia 2018, June 2-4 at ICC Sydney. More than 400 competitors from across the country will be judged on set tasks in 50 trade and skill categories, with the winners named national champions. A selection will then compete in the WorldSkills international competition in Kazan, Russia next year. An extra 82,000 technicians and trade workers are forecast to be needed in the five years to May, 2022, Federal Government data shows. Most of these new jobs are expected to go to electricians (11,000), chefs (10,900), plumbers (9500) and gardeners (7900). Even for trades that do not have strong forecast growth, though, there is hope. A new report from the National Centre for Vocational Education Research (NCVER) reveals trades have high "replacement demand", meaning a lot of roles are opening up as other workers retire or leave the occupation. "Job openings for technicians and trades workers will be 57,800 annually (total 462,000 between 2016 and 2024), with half of these resulting from replacement demand," the report reads. The portion of openings created by replacement demand is expected to be particularly high for bricklayers and carpenters and joiners (60.4 per cent) and for automotive electricians and mechanics (61.1 per cent).